since there is a 10 year anniversary, why not just make an event, where you can obtain the ''Unique Dual Mastery'' permanently through ingame farming, like the first event. It would just be fair, because at least 60% of all players have it already. There may be people that say, it would be broken but it's already out there and it's not a really huge difference in comparison with the normal dual. So it would be fair, if everyone has the chance to acquire it. Also people that didn't play in the peroid it first got released. Personally i'd like to see something like that too. Also more events to make items like insurances and deletes acquirable ingame through playing. This is truly what many player desire in my opinion. There are not many players like me, that are willing to pay many thousands of € for enchants. The quiz was also cool, since we were able to win insurances. The post was edited 1 time, last by Unproven ( Oct 10th 2018 ). You could get those enchant delete / insurances a longer time ago, when those events with the tokens and the boxes were still around. Would be really cool to see this kind of event come back, because the prices were really neat. A unique dual mastery as the last reward (like 300 Tokens) would be a good idea too. That particular skill - no. The game is already broken as it is. Or at least nerf it to 22/22 before adding it. Skill of choice would be nice imo, because how do you obtain perm skills (outside of hp,block and anch from pet caps). Hella made a good alternative suggestion (even though i think this could be touched more radically, i like the general idea). Or at least nerf it to 22/22 before adding it. Its amusing how people define broken these days. Hella: "Something that makes other skills pointless is broken'"
Everyone: "If people don't have access to it is broken"
UDM is one of the skills are meant for rusher. Being punish for carrying the ball. Rusher needs a skill that help them and that UDM. A rusher should a have skill that is rewarding, not to punish. The skill is fine shouldn't be touch. Other than that we should gain more access to it instead the pay wall. You see, these are 2 different things. Not having access to something indeed makes it broken for those who don't have it. That is true. However if the item is OP, giving it to everyone is not the solution since it will break the balance in the game. Why would anyone use any of the other skills if they can just use 1 skill that is better than the rest. I.e. why anyone woudl use HP or SP mastery skill if the unique dual mastery is almost as good as both skills combined together? It will be like the rail gun situation. Everyone uses it cuz it is op and accessible too. But being accessible doedn't make it balanced weapon. it will break the balance in the game. Can't break anything that doesn't exist. 1) You see, these are 2 different things. Not having access to something indeed makes it broken for those who don't have it. That is true. 2)However if the item is OP, giving it to everyone is not the solution since it will break the balance in the game. 3)Why would anyone use any of the other skills if they can just use 1 skill that is better than the rest. 1)No, you just using poor word choice to define something that isnt broken. 2)Giving people more access would break the balance? Seem like you really don't want people have it. Dont really believe it would break anything. 3) How people choose different skills is up for them that fit their style. If there something better. People move on to a better one. That's the principle of things that apply in RL. The post was edited 1 time, last by Satokishi ( Oct 11th 2018 ). you'll have 5HP more than with Unique Dual Mastery. And ignore the fact that you would have with Unique Dual Mastery more SP. In my opinion, HP Skill would still be used by other players. Same with SP Skill, they will ignore the fact, that you don't have HP but would still use it because it has 15SP more than Unique Dual Mastery. This will make the Skill Garbage, I disagree to nerf it down to 22/22. I think, it should stay 25/25, as it is. The post was edited 4 times, last by Tessuru ( Oct 11th 2018 ). How people choose different skills is up for them that fit their style. If there something better. People move on to a better one. That's the principle of things that apply in RL. Not in games. It is called power creep and it is bad game design to have 1 thing a lot better than others. Power creep is everywhere. Its really not a phase use just for games. Lol. Something like that is inevitable. At the current state of the game I wouldn't mind an event that gives away perm Unique Dual Mastery. But pretty much all weapons and skills need a big balance patch. I am fine if they add it but it should be balanced first. It is huge of a bonus even compared to other unique skills. Another option woudl be to have Unique HP mastery and Unique SP mastery skills but I doubt anyone wants more power creep in the game. Scoring in St2 is already way too fast and easy. Well my final idea was something like making a unique dual mastery thats split. So a Dual more leaning towards and SP Skill that gives some HP or the other way around. So something like lets say, +15HP and +30 SP, or +25HP and +15SP or some other variants. I'm not sure if that would make sense but something in that direction, not sure if what i said is understandable, but for example for rushers you can take a lesser SP skill that gives you some more survivability but some less SP and the other way round, for a backer to have a some tanking capability but also just a little more SP to clutch something. Maybe thats a direction the unique dual mastery could go. And the players can choose between one of them, something like that. It's fine in sword. And 95% of all players are Sword Player. So just because thats how it is now we should ignore the gun aspect? 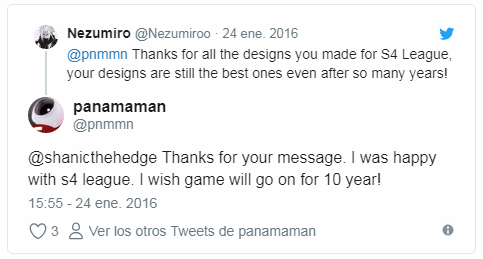 Which the game was intended to? If it is fine in OS, then tell me why anyone would ever want to pick HP or SP mastery if they have the unique dual mastery? I'm saying it since I never touched gun. It doesn't break the balance, it makes it even better, because you can dodge the stun more. it makes it even better, because you can dodge the stun more. Well sure but it also makes the other skills useless which is a problem. Thats not what Hella is referring to. If you have a unique Dual Mastery, there is no reason not to pick it. Which makes it unbalanced. In theory if dodging would be your concern, thats what the SP mastery is for. That is the point of skills. But having one that makes both HP mastery and SP mastery superfluous is to be considered not balanced, right? Exactly. The skills should be somewhat equally useful (even if they are not very balanced currently) so you can pick the one that you need and not pick it just because it is better than the rest of the skills. And yes, it makes the SP and HP skill not useful, but still nobody cares lol. It's not reversible anymore. It is not but they can still keep the amount of ppl who has the skill to minimum so you don't have to play in a room where everyone has only this skill and nothing else. Eidt: Actually I lied. It is reversible if they rebalance the skill so the others skills to get some use as well. Well I honestly don't care about it in any way. As this thread goes you clearly showed that you need more pity to beat pity + beeing egoistic. That is the whole message I got outta it. Minimum? In Sword rooms, 85% have it, cmon. They have it cuz everyone just have received it for 7 days lel. I'm talking about it in general, don't think im stupid, please. If I have to choose between a oversize phone made in the 90's and a smartphone. It's obviously what I pick. There always things in life will get replace eventually. But that doesn't mean it's broken.